For our family, summer means lots of trips back and forth to the library. The kids are a part of their school's summer reading contest as well as a few other contests in town so we like to keep a fresh supply of books on hand at all times. 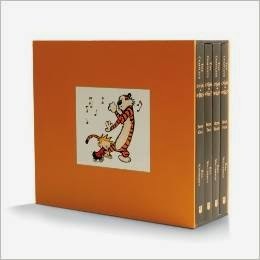 I checked out The Complete Calvin and Hobbes for myself. Pinky, who also loves Calvin and Hobbes, swooped in and grabbed the books before I had a chance to read them. I can't argue with her love of reading or her love of Calvin and Hobbes. 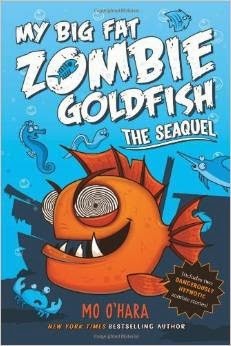 She also plowed through the sequel to My Big Fat Zombie Goldfish, aptly named - My Big Fat Zombie Goldfish: The Seaquel. Chaos and I are reading two new chapter books together. 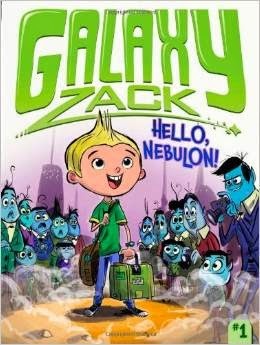 The first is Galaxy Zack: Hello, Nebulon. It's a beginner chapter book series about a boy and his family who move to the planet Nebulon. The story depth is what you would expect with a beginner chapter book, but Chaos loved hearing about the new planet and the illustrations kept him engaged. The second book was fun because we recommended it for purchase to our library - and they listened! And let us be the first to check it out! 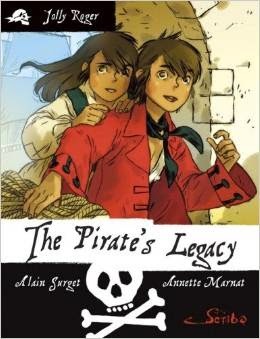 The book is The Pirates Legacy by Alain Surget. It's the story of orphaned twins, Benjamin and Louise who run away from their Parisian orphanage and set out for freedom. They stumble into adventure when they discover their long lost father is a legendary pirate. We picked up a few fun reads at the library this week. 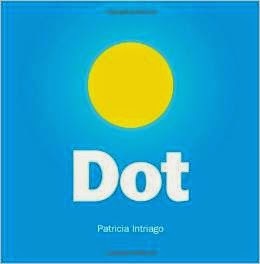 Dot is a clever book with illustrations that are even more clever. The kids asked me to read this one over and over. Exclamation Mark is a book about finding your own voice and embracing what makes you uniquely you. 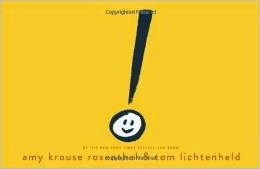 It's a fun book to read and even Pinky tried her hand at voicing all the different punctuation marks. Mrs. Crump's Cat was a recommendation from Pinky! 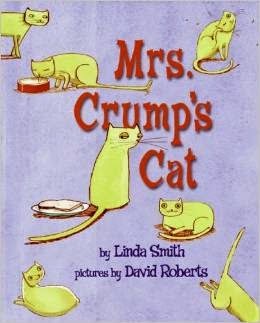 It's a sweet story of a stray cat who finds its way into Mrs. Crump's heart - even though she has no need for a cat. 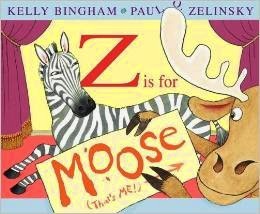 Z is for Moose wins for the book that made us laugh out loud the most. Moose REALLY wants to be a part of Zebra's alphabet line up. He's at times annoying, angry, and sad as the pages are turned. It's a great ending though and definitely worth a couple of re-reads. Linking up to some of these great parties. 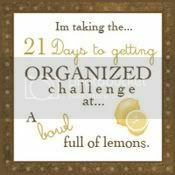 Sounds like you are having our kind of summer! :) Z is for Moose is so funny, and we too love Calvin and Hobbes. The others are new to us! Thanks for sharing this with us at Booknificent Thursday!